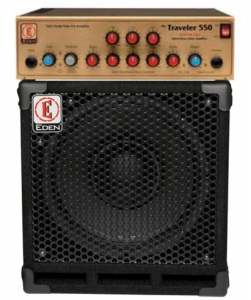 The WT550 World Tour amplifier offered the perfect combination of features and power to give bass players great tone and volume on stage with its 500W of power and tonal clarity. The WT550 features switchable compression, 5-way semi-parametric tone control, enhance control, mono pre & stereo post effects loops & input pad. Supplied with an EX112 making a perfect pairing for the London musician, compact but full of tone, but available with upgraded cabs for more power. D112 with tweeter also available – use both for a really punchy rig. 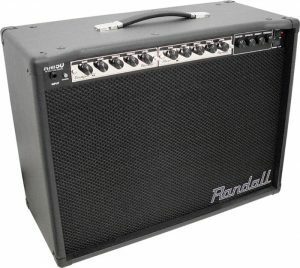 A valve emulation guitar amp with two channels and Footswitch 2 x 12″ speakers and in built effects. 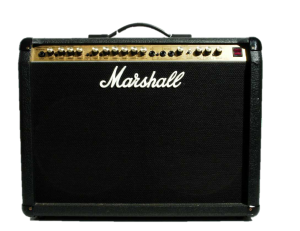 Classic Marshall sound but a bit lighter than a JCM900! Can be used as an acoustic guitar amp. Perfect for buskers and fetes and small parties. A BATTERY operated speaker with built in mixer. 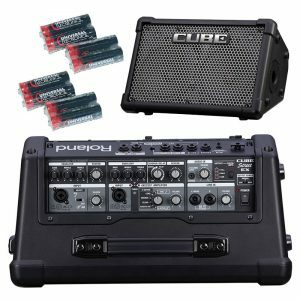 Up to 50 watts of power and 4 inputs, for mics, instruments, and line input. Features amp simulator for guitars and reverb for microphones. I have set this up for wedding speeches for up to 100 guests before. We have accounts with local back-line rental companies so we can sometimes pick up equipment for you if you need something we don’t have in stock. All hire prices exclude delivery and collection and are based on a 24 hour hire period. There is a minimum £100.00 fee for Friday or Saturday delivery. No minimum for collection. P515 is actually more than a stage piano, it has internal speakers allowing you to perform or practice without an amp. However, it’s forte is the incredible quality of the sounds and the feel of the keyboard bed which can match the Nord Piano 4, Kawai ES8 and many other go-to stage pianos. Easy to use interface with all the essential “keyboard” sounds such as various e-pianos, clav, organs, vibes at a touch of a button. 100’s of other sound also accessible via simple menu system.